Sell your CITTÀ FRONTALE items on eBay ! Overall the music on this album is showing little resemblance to the one made by OSANNA. The first two songs are still quite in this vein, excellent symphonic prog with a jazzy approach, but the rest of the record mainly consists of "light prog-ish" kind of music, partly influenced by Italian folk as well as by American folk and blues rock. The commercial approach is at least for my ears more than subtle, actually quite obvious. Fans of OSANNA expecting something similar like they did will be definitively disappointed. IMHO quite a nice record, but as well not very special and rather ordinary. 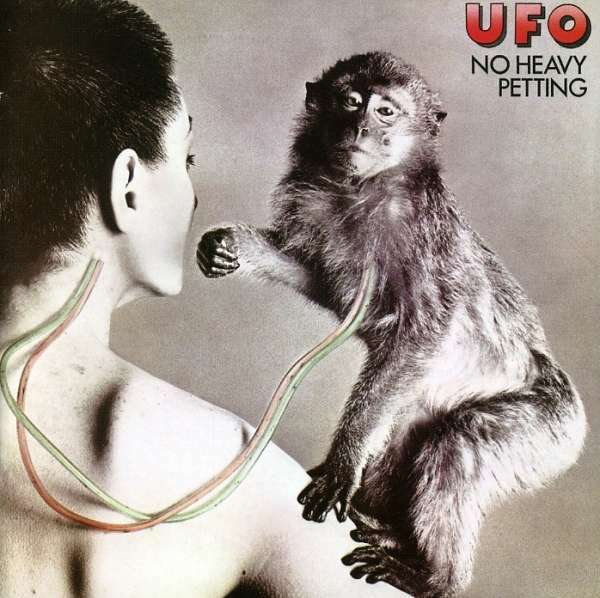 Probably not really worthwhile if one is looking for Italian Prog of the heavier and more sophisticated type. I'd like to give 2,5 stars for this one. After "Landscape of Life" the memorable italian prog band Osanna disbanded. Many opinionists tell there were then discording musical ideas between Elio D'Anna and Lino Vairetti (excellent vocalist) based, probably (that's one of the peculiarities of the italian progressive rock movement) on different political faiths. So they turned to an ending point. D'Anna formed the unlucky band Uno and flew to London to record the eponimous debut. Vairetti, on the other hand, formed Città Frontale (or re-formed...Città Frontale was a band active before Osanna and in the line up was also a certain Gianni Leone, founder of Il Balletto di Bronzo). The band offer a peculiar mix between gentle folk and pastoral tunes within some jazzy incursions and melodic vocals winking at the left wing tradition. Near to the previous Osanna's record. The result is still convincing, but, as for Uno only album, simpler and with a more commercial approach, showing a clear tendency to come closer more mainstream musical areas. Fortunately, the wise interplay between flutes, particularly strong saxes ( tenor, soprano and contralto) and keyboards (moog, organ mellotron, fender piano and harpsichord) seem to assure the right of being called a good prog album. Other interesting peculiarity are the folksy and pastoral sparse touches as in the opener "Alba di una Città". To be honest, the opener is not so representative of the whole record, being the only one completely performed as an acoustic gentle ballad. 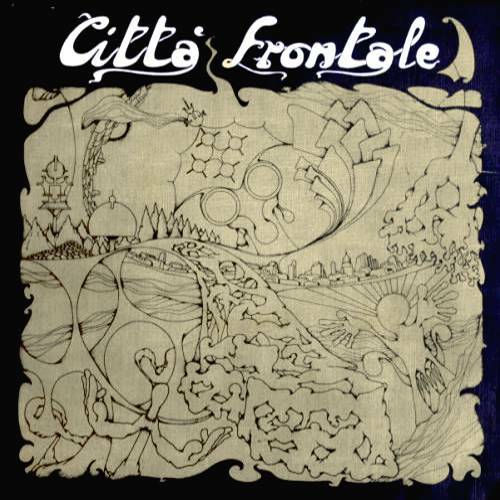 After first Osanna's split up in 1974, former members Lino Vairetti (vocals, guitar, mellotron, harmonica) and Massimo Guarino (drums, percussion, vibes, vocals) reformed a band called Città Frontale along with Gianni Guarracino (guitar, synth, vocals), Enzo Avitabile (sax, flute, vocals), Paolo Raffone (keyboards) and Rino Zurzolo (bass). Città Frontale recorded only this album before disbanding... "El tor" was originally conceived as a rock opera. It's a concept album (or, if you prefer, a musical) that tells the story of a fantastic character called "El tor" ("El tor" was the popular name of the "vibrio cholerae", the bacteria responsible for the disease that raged in Naples in 1973). In the last track "Equilibrio divino", another melodic ballad with an interesting crescendo finale, the protagonist ends up to kill people in the name of God, "aiming to put their devotion under state control"... A sad end for a revolution dream! 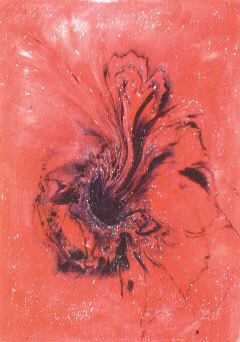 Citta Frontale rose from the wreckage of Osanna after that band split although the band also preceded the better known group as well, sort of a before and after entity. Because of Osanna's great progressive success Citta Frontale had some big shoes to fill and they obviously did not please all the critics. I've read some negative stuff about this album but judging it on its own merit I was really pleased with it. This is a very easy album to assimilate and enjoy right out of the box, much less complex and crazy than Osanna or some other heavy Italian bands. I would probably categorize the album as Italian Symphonic instead of Jazz-Fusion as the site does but it does have elements of jazz, folk, blues, and even pop music. The mood is mostly light and happy and the songs feature high quality vocals, musicianship, and melodies. Classic keyboards, good electric guitar, acoustic guitars, flutes, sax, you'll get a bit of everything thrown into the mix here. "Alba" features lovely acoustic, hand percussion and flutes soon joined by angelic choir vocals. It is a very lovely and relaxing opening song that puts you in a good mood. "Solo Uniti" then flys out of the gate as a jazzy number with some fiery guitars and nice vocals. The lead singer(s) on this album do a fantastic job and all have pleasing voices. The song veers to pop-rock before bringing back the jazzy flourishes at the end. The title song "El Tor" is next beginning with lovely classical guitar. Pure romantic Italian here as the warm vocals are joined by the choral voices again. Around 3 minutes a nice sax burst gives the mellow tune a kick in the rear and it gets more active with some nice soloing. "Duro Lavoro" is a very good track with more complexity and development. It seems a bit darker and more serious with nice bridges leading to different sections. There is great flute, bass, and guitars. A real Italian epic! Side two kicks off with "Mutazione" which is a jazzy instrumental, nice playing throughout. "La Casa Del Mercant" is a nice folksy acoustic number with lots of nice vocal harmonies. True it sounds a little pop but still very pleasant. "Milioni di Persone" has some harmonica with acoustic and sax, again a light pop song. "Equilibrio Divino" helps redeem side 2 with a good light symphonic number that sounds more ambitious again like "Mutazione." Side one is the better side. Basically about half of this album is very good, and the other half ranges between fair and good. The Strange Days Japanese re-issue features an excellent reproduction of the lp-sleeve along with very respectable sound, although sometimes the bass is way too low in the mix for me. I certainly understand some of the complaints lodged against this album, especially the middle of side 2. However, I find the overall experience very pleasant and this is a definite keeper in my Italian collection. Lots of vivid melodic instrumentations, good vocals, and mostly passionate performances. I'm at about 3.5 stars for Citta Frontale. If you want a deep Italian collection you will want this, if you only want a couple Italian cds this should not be one of them. Citta Frontale were important in the evolution of RPI giants Osanna as main members Lino Vairetti and Massimo Guarino vacillated between the two bands during the first half of the 1970s. Citta Frontale's sole album ''El Tor'' was released in 1975 during an Osanna hiatus; apparently it's a socio-politically inspired concept album about an individual who sets out on a journey to rid the world of oppression, only to become corrupted by power himself. Like the fantastical traveller in the story, the album goes to a lot of interesting places but overall it sounds a bit anaemic in comparison to Osanna's work. There's little of Osanna's inspiration or complexity in evidence here and most of the eight tracks follow fairly traditional structures. There are some shared characteristics like the reliance on saxophone and flute, and the mix of Mediterranean folk and jazz, but generally with an altogether lighter touch. The saxophone on the multi-part ''Duro Lavoro'' reveals something of a Zappa influence and this vibe is reinforced on the following track ''Mutazione''. Enzo Avitabile's sax-playing is also at the forefront of the uptempo ''Solo Uniti'', the closing section of which has shades of ''21st Century Schizoid Man''. The balance of the album is mostly lightweight folk and pop, such as the dreamy, lilting opener ''Alba Di Una Citta'' and the West Coast-inflected ''Milioni Di Persone'' complete with harmonica and catchy melody. The title-track could easily pass for an Italian version of a Cat Stevens song although there's a hint of Ian McDonald-inspired flute towards the end. Overall then, ''El Tor'' is by no means a bad album but these guys don't take any risks here and it's all just a little safe and predictable. It's probably of interest mainly because of the Osanna connection, although it should appeal to fans of light symphonic music. Post a review of CITTÀ FRONTALE "El Tor "